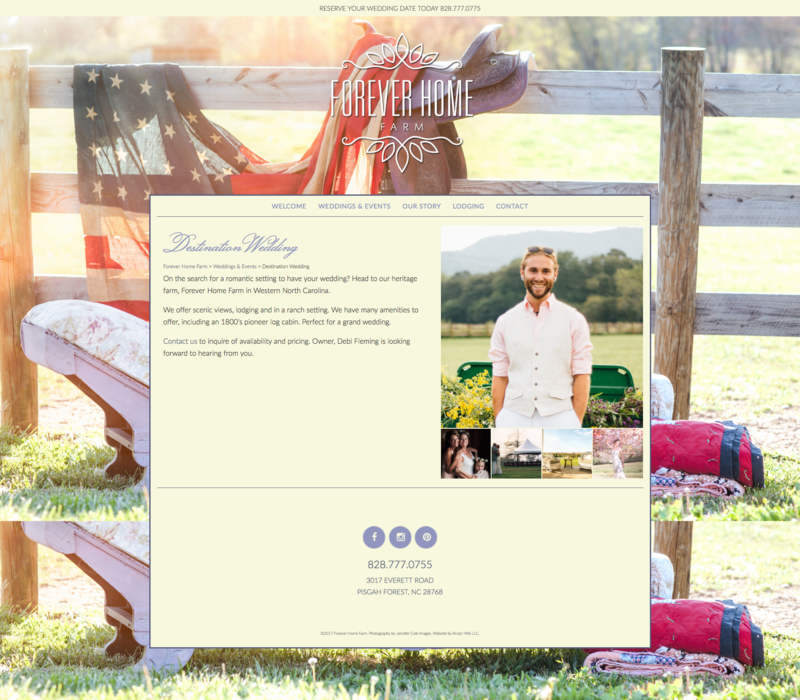 Forever Home Farm is a Wedding and Event venue in in Pisgah Forest, North Carolina. This beautiful event venue was started by Debi Fleming after hosting her daughter’s wedding on the estate. In 2017, Debi reached out to Brady Mills LLC after an event that caused her to lose her entire Squarespace website. Frustrated and needing assistance, she approached our Atlanta website design offices to request that we reinvent her original website. 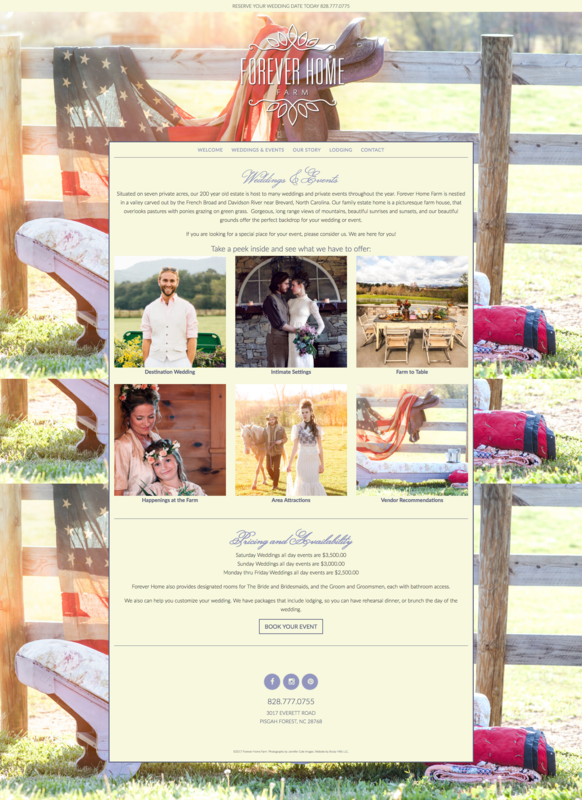 Utilizing static HTML files that had been salvaged, the disjointed data that remained in Squarespace, and a whole lot of project management planning, files and correspondences, we were able to recreate the website she loves on a WordPress Platform and with a few new features and improvements. 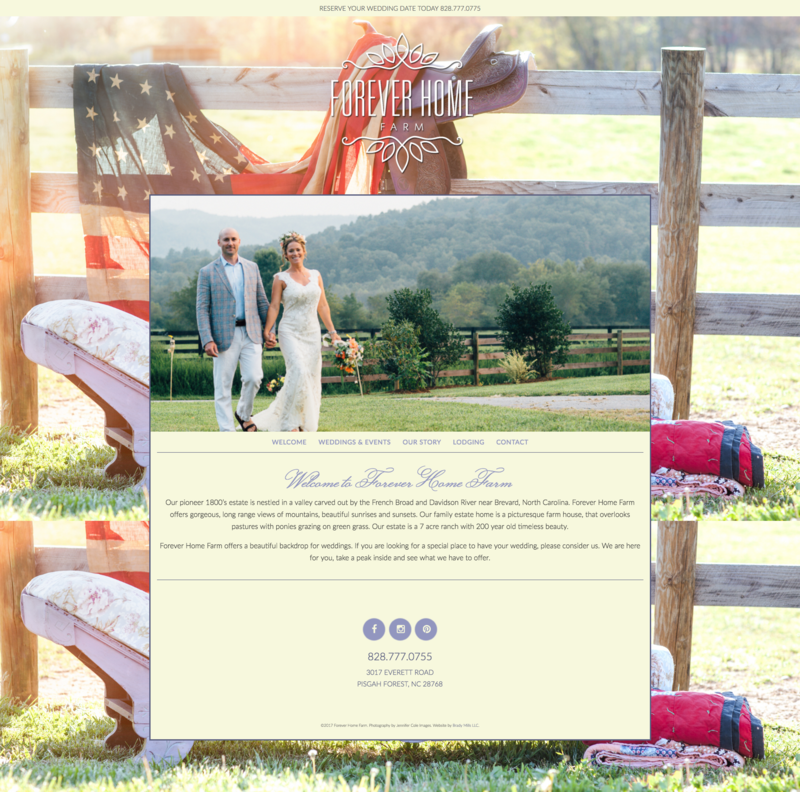 Welcome page features a warm and inviting, Country Chic vibe which encapsulates the charm of this North Carolina Wedding Oasis. 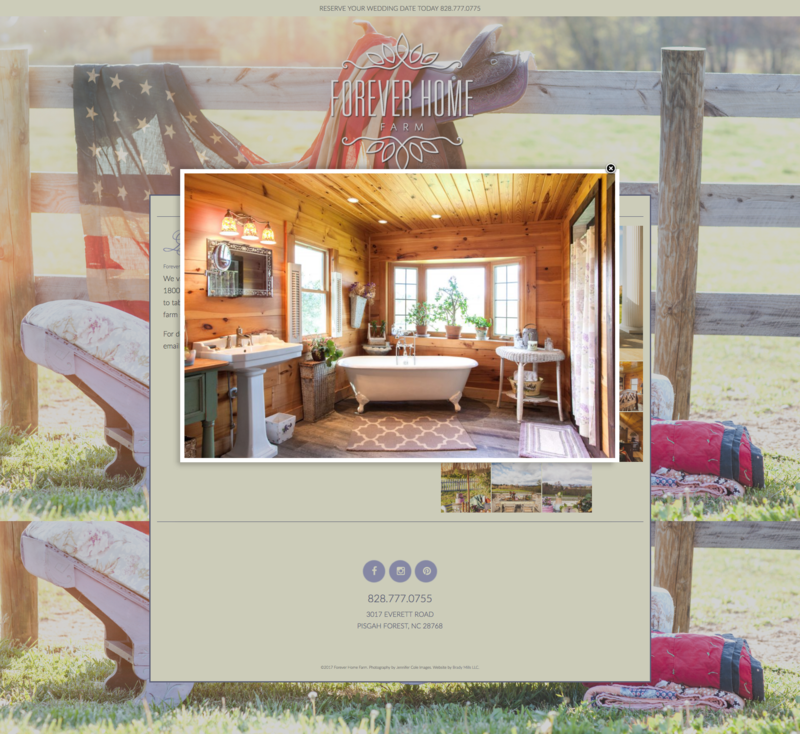 Services are clearly highlighted and offer a glimpse into the luxurious offerings of Forever Home Farm, including Destination Weddings, Beautiful Intimate Settings, Farm to Table Catering and Food, Lodging, Events at the Farm, Area Attractions in Pisgah National Forest and Wedding and Event Vendors. Each service section provides details about the service and offers a few more photos of the property, vendors, attractions and past events. Light boxes are used throughout the website design to expand and highlight the many gorgeous property photos. Responsive website design displays nicely across all devices, including mobile phones, tablets and other sized screens. Responsive website design automatically adjusts to screen size for optimal user experience.